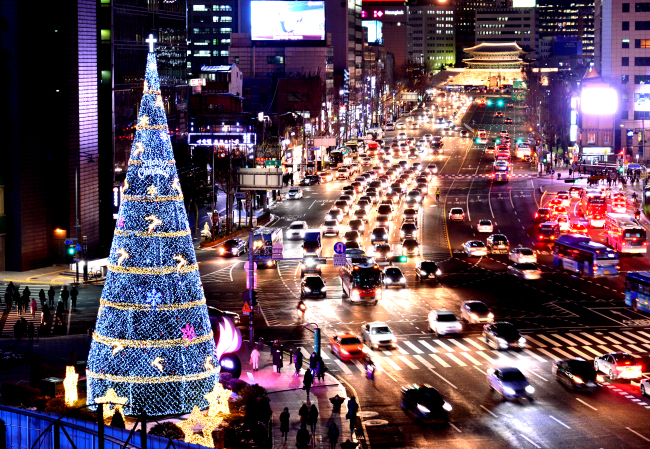 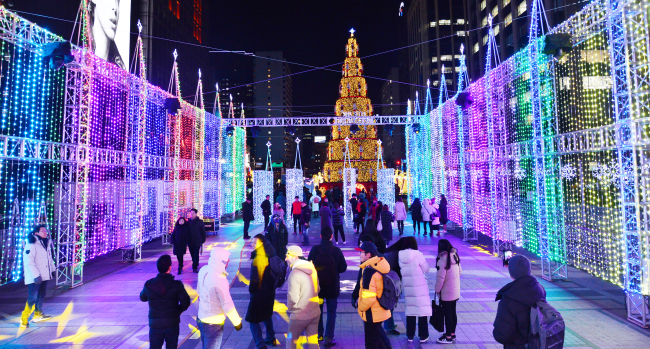 With Christmas just around the corner, the streets and buildings of South Korea’s capital are ready to embrace the holiday spirit with Christmas trees and twinkling lights. 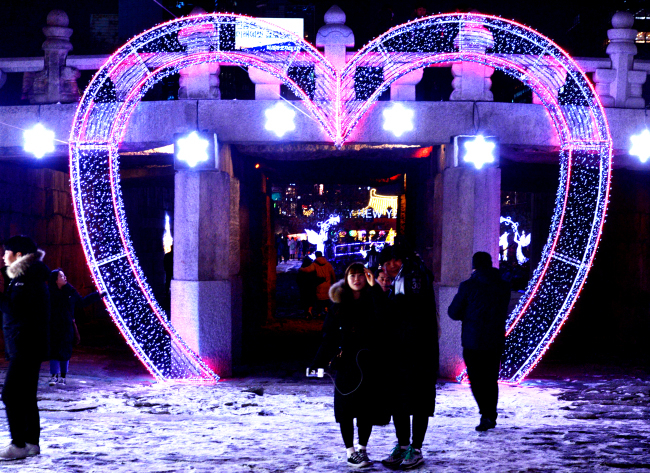 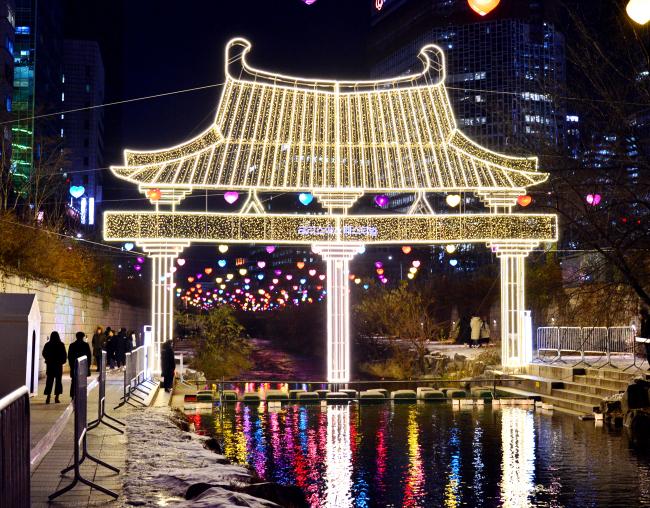 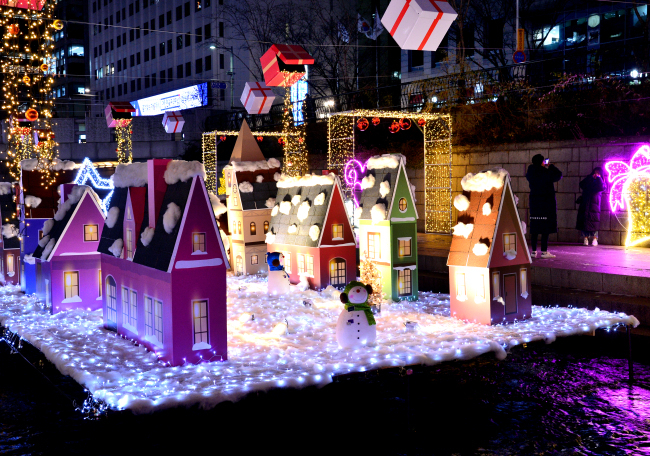 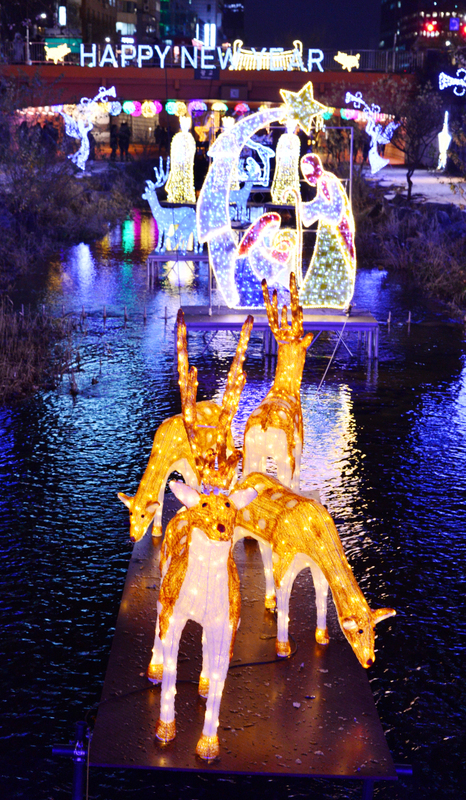 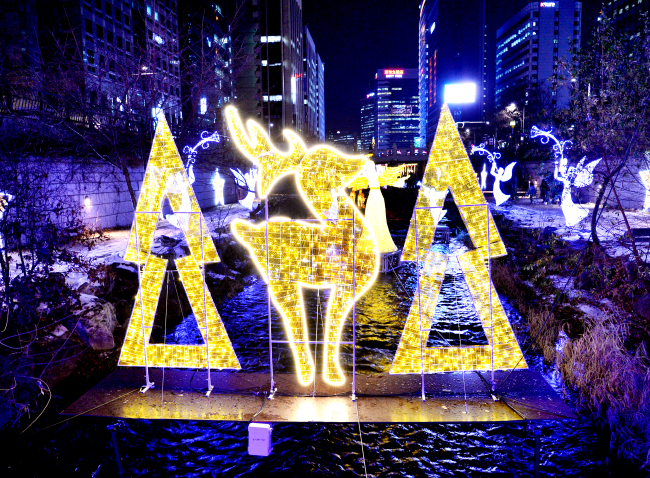 The Seoul Metropolitan Government is holding the 2018 Seoul Christmas Festival until Jan. 1 at Cheonggyecheon, featuring different colored light-emitting decorations along the 1.2-kilometer walkway by the stream at night. 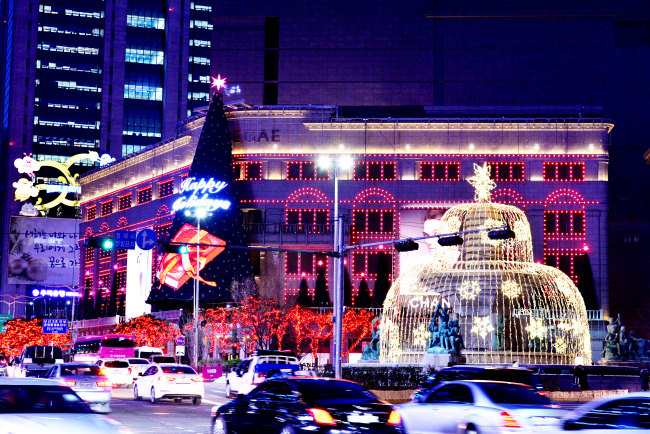 Meanwhile, a 25-meter-tall Christmas tree has been set up in front of the Seoul Plaza until Jan. 6. 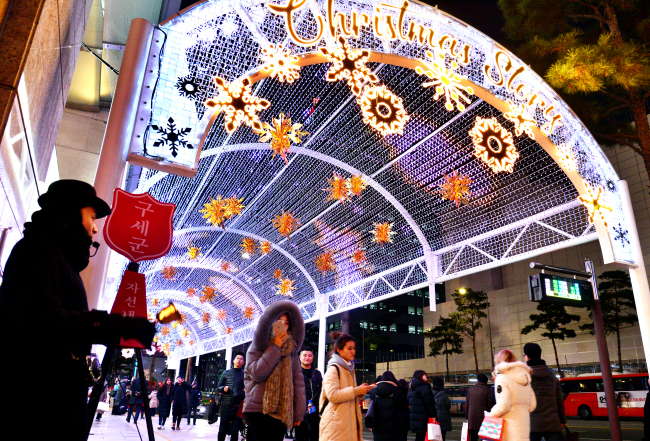 Commercial areas have long been hyping up the holiday spirit, with department stores, hotels and luxury brands adorning their display windows and buildings in red, green, gold and white, splashed with alluring signs of sales.